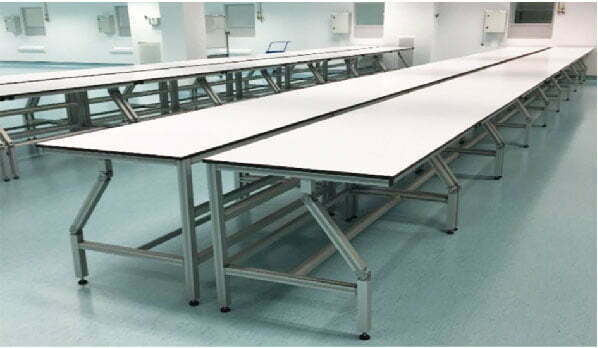 We understand that work benches often need to be strong, durable and withstand any kind of prolonged use so we build them out of our durable extruded aluminium profiles, using various connectors and resilient worktop materials. The main worktop materials we use are compact laminate and a high-pressure laminate that come in various colours. 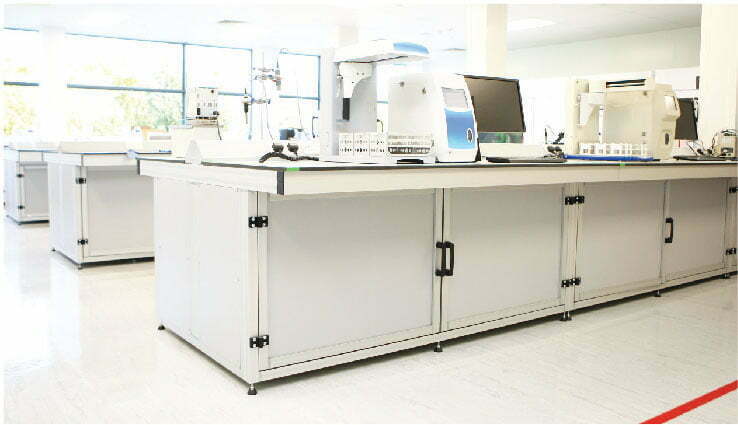 Both of these materials are suitable for a clean room or medical lab environment and can be used in conjunction with any of our profile ranges, including our closed profile options. 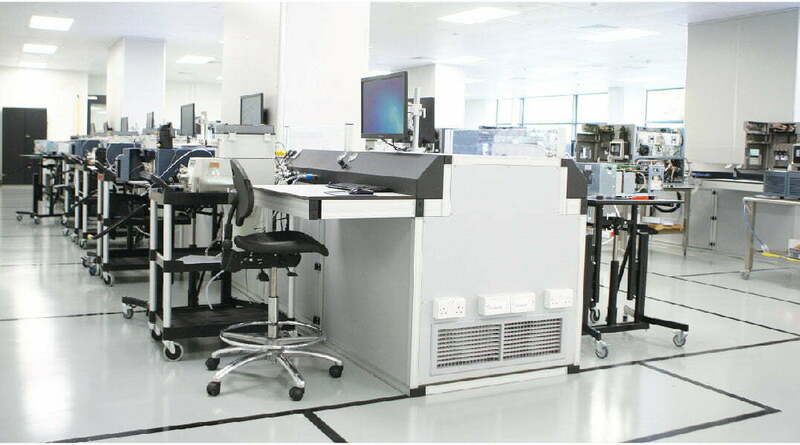 The structure of our workbenches is of a standard design with four legs, cross bars, and a worktop. You then have the option to customise incl. the installation of drawers, shelving, lighting, shadow boards and footrests. Another feature is the option of having a fixed or adjustable height, making your work bench suitable for operators of every height. 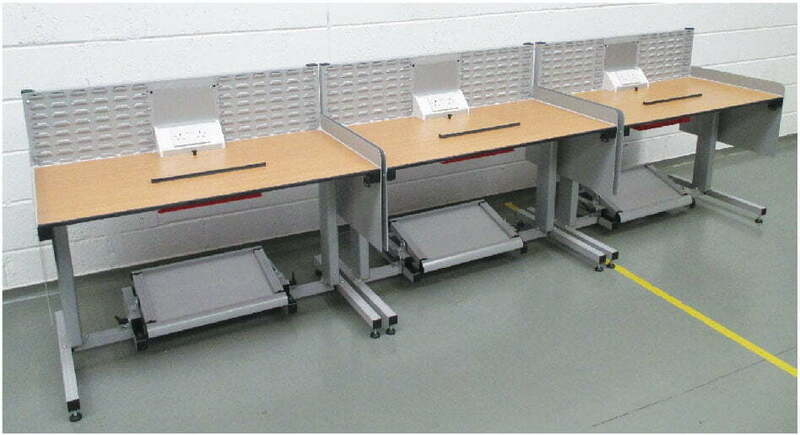 The modular quality of our framing systems allows multiple workbenches to be integrated to form assembly lines. We have the capacity to create one off designs for singular workbenches or produce multiple solutions at cost effective pricing. The length and width of your workbenches are fully customisable and modular. 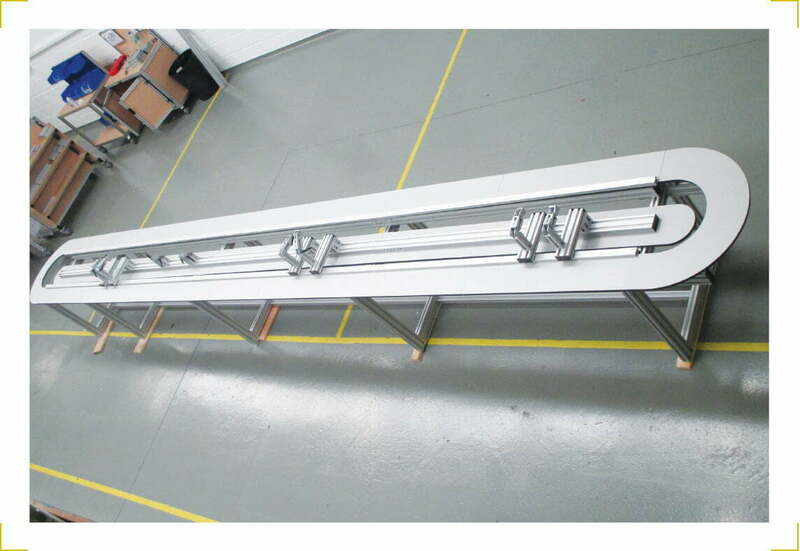 This means that you can introduce a complete assembly line into your manufacturing area or if ease of movement is important to you, we can mount castors to your workbenches. For more stability we can attach various sizes of levelling feet and we can also integrate triangular electrical trunking into your workbenches if so requested. Want to speak to someone about your Work Benches?